Laid down, 4 August 1942, at Consolidated Steel Corp., Orange, TX. USS LCI(L)-62 earned five battle stars for World War II service. 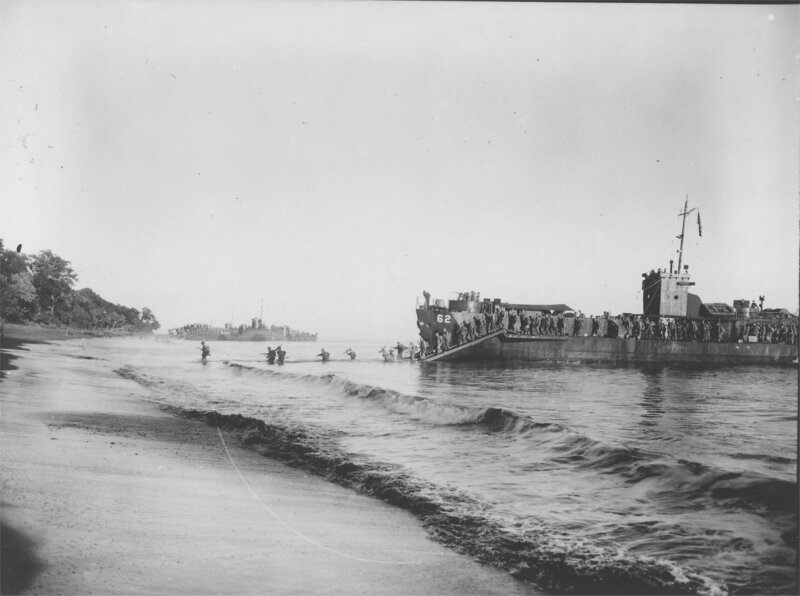 1035k USS LCI(L)-62 landing troops of the 1st Infantry Regiment, 6th Infantry Division near Cape Opmarai, Dutch New Guinea, 30 July 1944.